This pioneering text brings together for the first time the global institutions on the front line of the campaign against hunger and poverty. 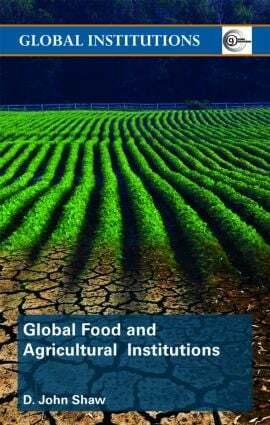 The institutions examined in this book – the Food and Agricultural Organization (FAO), the International Fund for Agricultural Development (IFAD), the World Bank, the World Food Programme (WFP) and the Consultative Group on International Agricultural Research (CGIAR) – play important roles in achieving and maintaining world food security, which is essential for human existence, economic and social development and world peace. By analyzing the origins, functions, successes and difficulties of these global institutions, Shaw highlights the continuing relevance of these bodies in their quest to meet the challenges of the twenty-first century. In the light of the current world food crisis, this book provides a particularly pertinent commentary on a highly topical issue that is never far from the media spotlight.